A toilet that drains slowly and bubbles does not flush with the same amount of power as toilets that flush quickly. There are several possible causes for the toilet’s slow draining and bubbles, some of which you can take care of yourself, while others will require you to hire a plumber. A lower-than-normal water level in the tank reduces the toilet’s flushing power. With a lower flushing power, the toilet bowl will drain slower than before. Adjusting the float level inside the tank changes the water level. If your toilet has a float on the end of a metal rod, you must bend the rod up to raise the water level. With floats that travel up and down on a metal rod, you must pinch the clip that holds the float to the rod and then slide the float up. Stop raising the water level once it reaches about an inch below the opening of the overflow tube. The toilet’s drain line may be clogged, allowing a limited amount of water and waste to flow through the drain line. Not only would a clog in the drain line lead to the slow flushing problem, but it also can produce bubbles in the drain line that enter the bowl when you flush. 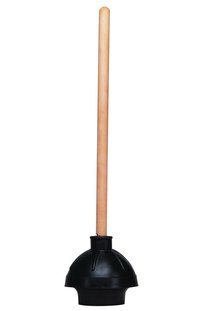 The cup on a plunger helps remove clogs from the drain line by sealing the drain as you pump with the handle to increase the pressure in the drain line. If the plunger does not push the clog out, you may be able to break it up or pull it out by feeding a toilet auger down the drain line. The ports are numerous holes located under the toilet bowl’s rim. As water rushes out of the tank, water flows into the toilet bowl through the ports. The force of the water entering the toilet bowl helps determine the toilet’s flushing power. Clogs form as hard water deposits build up in the ports. If you use cleaning tablets in the tank, they may flow through the drain in the bottom of the tank, clogging the ports. Slow flushing and bubbles in the drain line may be caused by problems with the plumbing vent pipes. The vent pipes connect with the drain lines in the house, allowing trapped sewer gases to escape the house through the vent pipe openings that sit above the roof line. The vent pipes also maintain an equilibrium of air in the drainpipes, drawing in fresh air to replace air sucked down the drainpipes. You can clear clogs in the vent pipes from the roof by spraying water down the pipes. A plumber can detect clogs, holes and even missing sections of vent pipes.